Busy Dogs takes pride in the service we provide. Grooming dogs of all temperaments, including difficult and easy going dogs. We take extra care with special needs dogs, e.g. old age dogs, dogs with medical problems. Busy Dogs will groom/clip dogs that have matted fur and knots that need extra care as well as well conditioned coats. 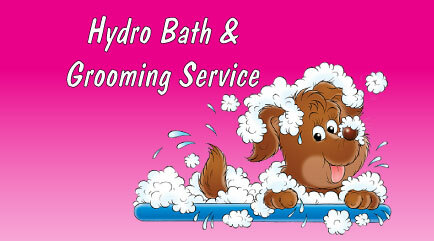 Our hydro bath, dog washing service, utilise clean warm water, we use organic shampoos, leaving a lovely relaxed coat. We use either blow drying or towel drying depending on the dog. Busy Dogs enjoy grooming dogs, and meeting their terrific owners.